Before Second Year you might have known the French Revolution for one thing: the guillotine. This revolution saw the French overthrow (and eventually) behead their king and queen to form a new society based on liberty, equality and fraternity. 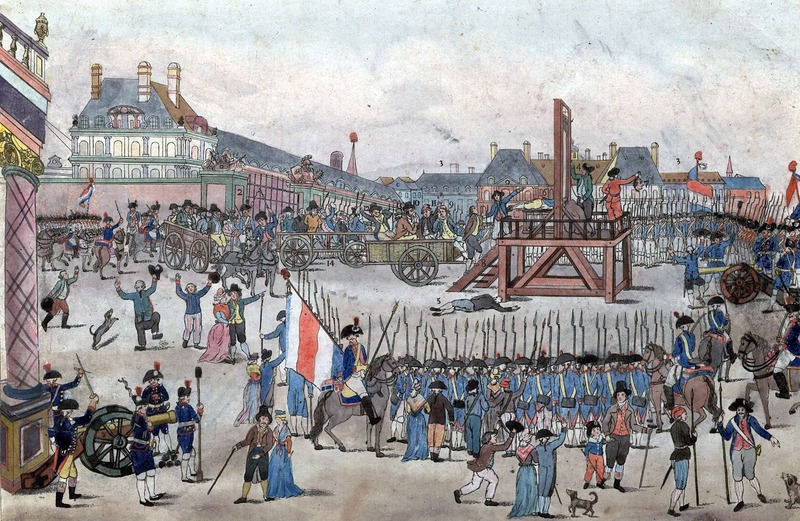 Besides the guillotine, the French Revolution is famous for another reason: the Reign of Terror. If you were even suspected of working against the revolution, you could have your head chopped off in no time. It was a dangerous time to live, but it sparked revolutionary thoughts all over Europe, even in Ireland. The modern French flag comes from the revolution. The blue and red are based on the traditional colours of Paris, where most of the important events of the revolution took place. 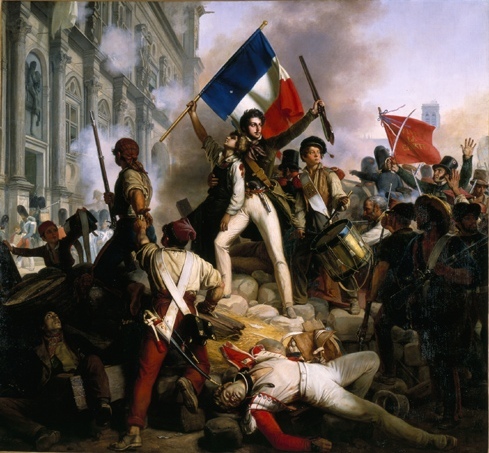 The storming of the Bastille: why did it happen? The National Assembly and the Declaration of the Rights of Man. The Results of the French Revolution. Because this is the French Revolution page, the answers below talk about France and Maximilien Robespierre. For America or Ireland, go to their pages. The execution of Robespierre (click to make bigger). Discover France has the history of the Bastille Castle. You might not know that when it was stormed, there were only 7 prisoners inside. This is an English translation of a newspaper account of what happened in Paris on 14 July, 1789. A site dedicated to Marie Antoinette. This site is openly biased, as the people who run it like her, but as long as you keep that in mind it's an interesting site to look around. The photo gallery is especially good. Read Marie in her own words here. It's from years before the revolution. Notice how much she writes about how the people love her and Louis. Learn all about France's favourite execution weapon in the 1790s. Watch a video on History.com about the Reign of Terror.